Prologue and Spanish version by Esther Bartolomé-Pons. 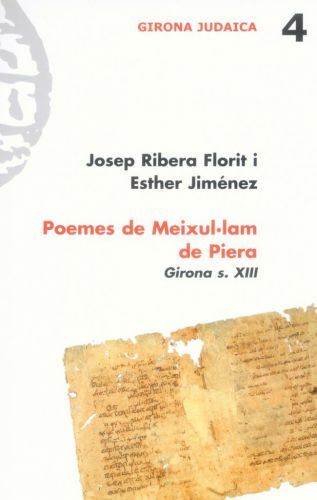 Volume with introduction and notes in Catalan, as well as a simultaneous translation from the Hebrew into Catalan and Spanish of the poems of the 13th century Gironan Jew Meixul·lam Ben Shelomó de Piera. The poems of this medieval Jewish poet confirm that poetry also serves as a tool of critique and complaint, as well as a weapon in the fight against being forgotten.